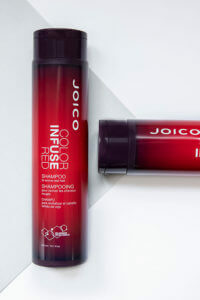 Imagine a 5-minute treatment that amps up the intensity of haircolor; quenches each strand with the richest conditioners; adds a burst of roaring red tones to blondes...and lasts up to 10 shampoos. 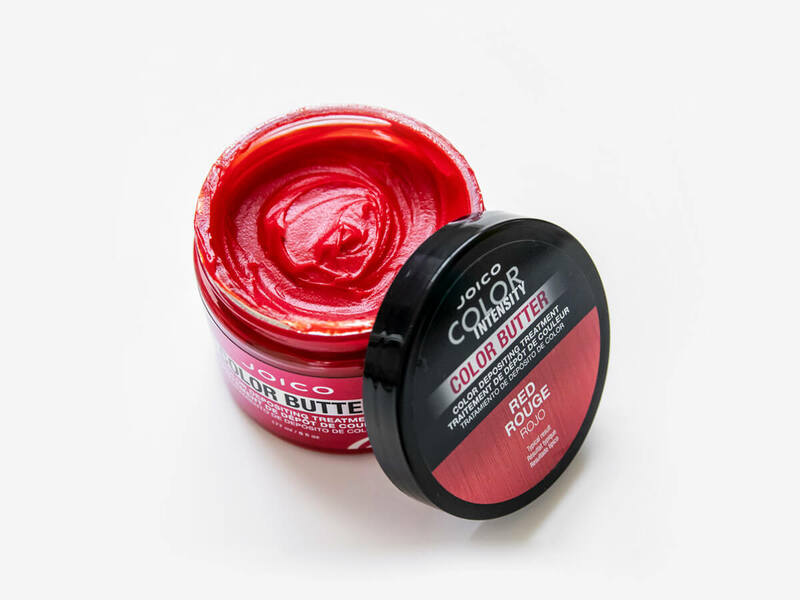 You get all that and more with Color Butter Red—a brilliant, low-commitment hybrid that combines fun color and reparative function in one luscious tub. Brilliant, true-to-hue pigments re-energize investment hair color, while blondes will have fun playing with a bright palette of possibilities. I used it to refresh my faded red violet hair. It did great! From pops of powerful scarlet to gingers that need some punch, Color Butter Red revs things up in mere minutes, leaving hair blissfully shiny and soft to the touch. Option 1: Nail a fun, short-term color result on light to dark-blonde hair (natural or prelightened) — the burst of color comes with its own strengthening, moisturizing treatment. Option 2: When vibrant, semi-permanent color begins to fade, Color Butter Red reignites the shade, restoring hair’s condition, strength, and luster between salon visits. Option 3: The perfect last step following a color service, providing additional pigment deposits with longer lasting, more dynamic salon color results, and deep conditioning. At Home: To refresh faded color or add pops of fun to blonde hair, apply Color Butter Red to dry or damp strands. Leave on for 5 minutes before rinsing thoroughly; no need to use conditioning products. Want to use Color Butter to create pretty pastels? 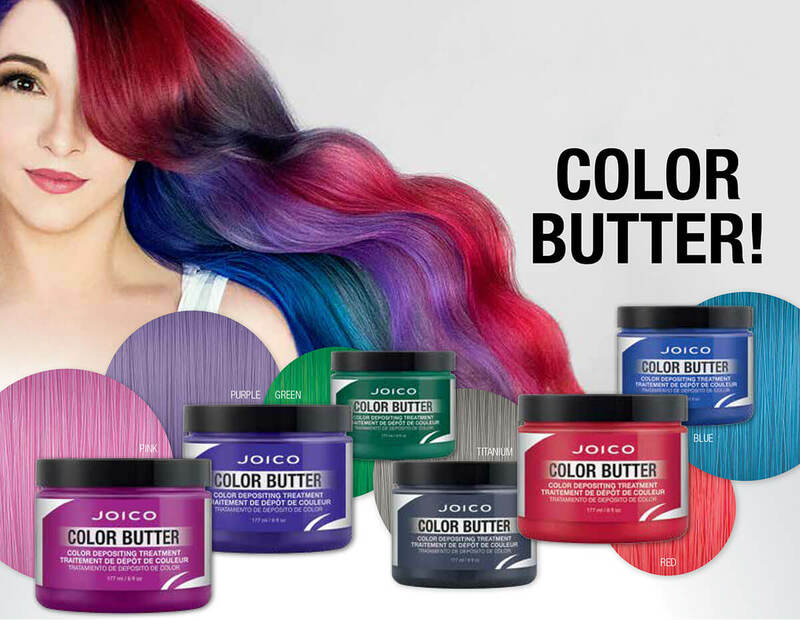 With the rich pigment of semi-permanent crèmes and a whole lot of intensely nourishing ingredients, you get the chance to play with color AND care for your hair. A naturally occurring amino acid crucial to hair’s strength. Products that include Arginine help protect hair and rebuild it from the inside out. 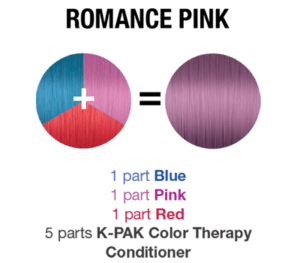 Is our exclusive blend of smart, hair-identical keratins that help repair hair from the inside out. These optimized proteins actively “seek out” and lock in on damaged sites, providing around-the-clock hair repair and protection. Are the very same true pigments found in our best-selling Color Intensity Semi-Permanent Crème Colors. 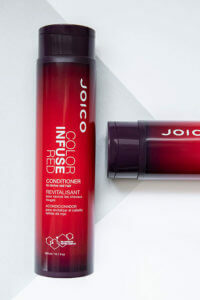 These brilliant dyes refresh faded hues for up to 10 shampoos. 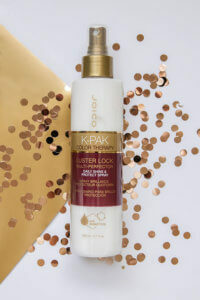 Derived from Shea-Karite tree nut—is native to the tropics of East and West Africa; delivering extraordinary moisture to the hair, while restoring hydration, suppleness, and glorious shine. Is a highly prized moisturizer produced from the Hawaiian Candlenut tree. Stocked with essential fatty acids, vitamins, and antioxidants, this oil thoroughly hydrates parched hair while improving elasticity and shine. I used it to refresh my faded red violet hair. It did great.